Otto the Orange was named No. 1 among NCAA Tournament mascots by Sports Illustrated. As Syracuse University fans await the start of the NCAA Tournament, one Syracuse competitor has already claimed victory. 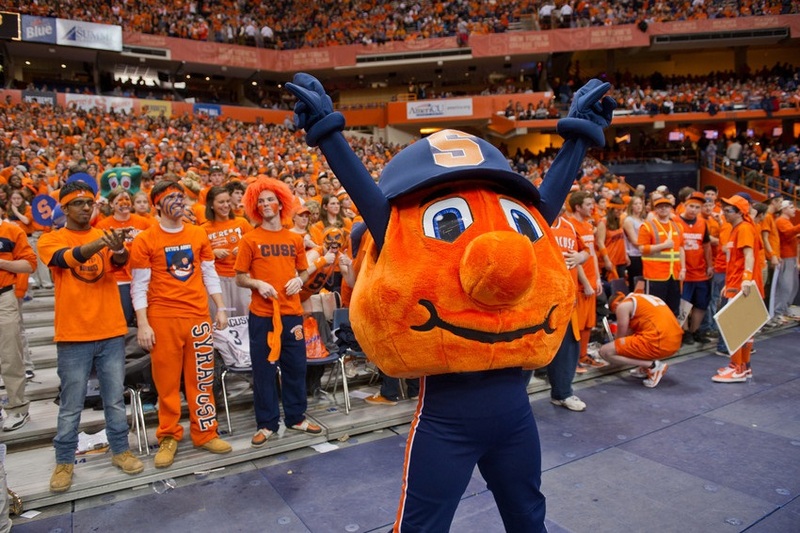 SU’s own charming and spirited Otto the Orange was named the No. 1 Mascot of the NCAA Tournament by Sports Illustrated. The magazine looked at the hard-working mascots’ “distinctiveness, quirk and enthusiasm” to name its Sweet 16. Otto beat out such tough opponents as the Blue Devil (Duke), Sparty (Michigan State), Puddles (Oregon) and The Tree (Stanford). Take a look at the culture of Otto.